When it comes to taking care of your garden, your number one priority should always be its water supply. Water plays a major role in ensuring that your plants will grow healthily and properly. Not only does this make sure that they’re looking their best, but this will also increase your home’s value. 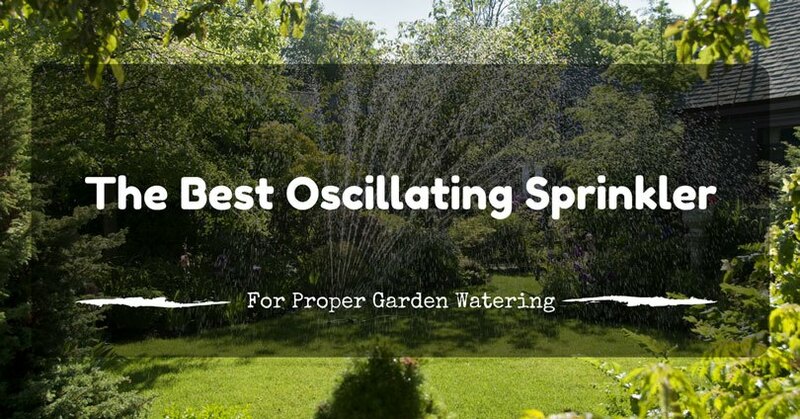 Garden sprinklers are the answer to that need. However, it’s a different story if you have a small garden. 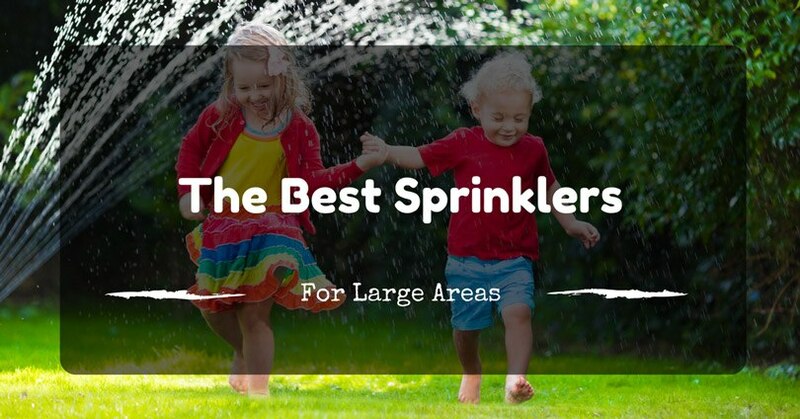 That’s why we’re going to help you choose the best sprinkler for small yards. For sure, your garden will thrive even more once you’re done reading this. 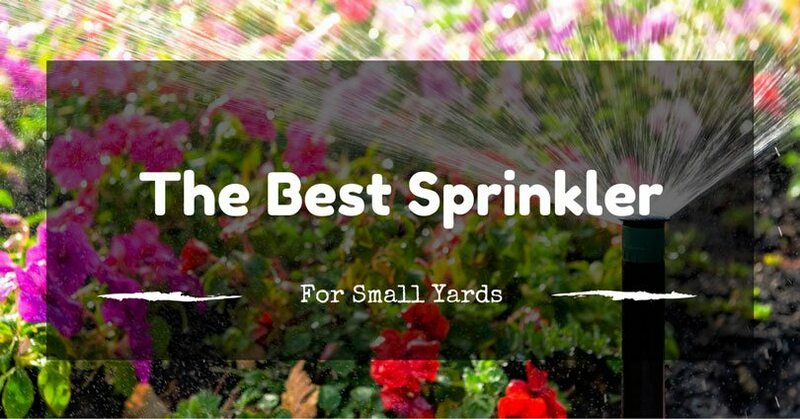 The Gilmour Rectangular Pattern Spot Sprinkler takes the first spot in our list of best sprinklers for small yards. It’s because this has a 15 feet x 30 feet rectangular pattern which is exactly the coverage you’re going to need if you have a small garden. 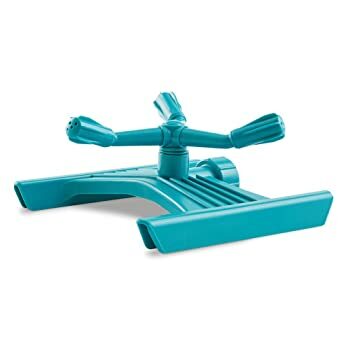 It’s made of high quality metal and is specifically made for small to medium-sized lawns. You also don’t need to worry if you have a low pressure area because this can still operate on those kinds of areas. You’ll also have a three-year warranty with this. It stands firm, and is very effective in watering small areas. It’s simple and there’s nothing fancy about this. It’s got a cheap looking surface. And there’s nothing special about this sprinkler. 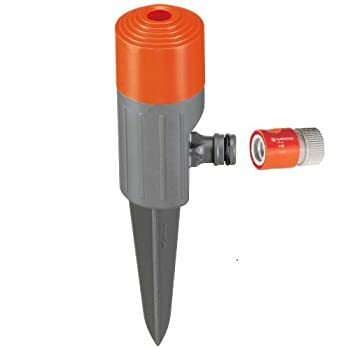 The Gardena 1951 Small Area Garden Spray Sprinkler is considered as a budget sprinkler. 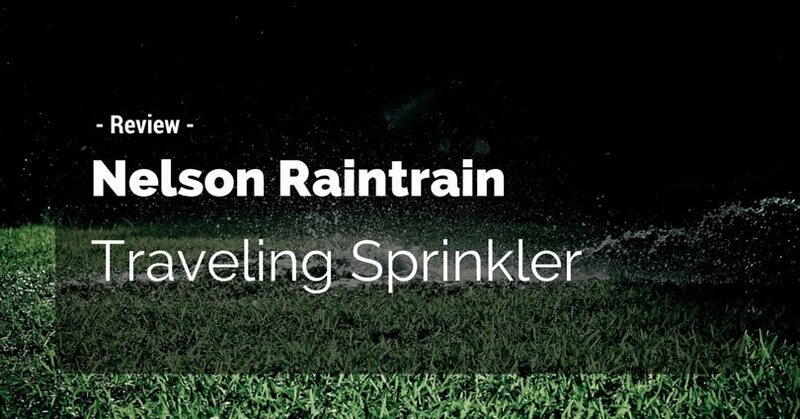 But don’t underestimate its capabilities because this is one of the most efficient sprinklers in our list. This is great if you want to water your vegetable beds, flowers, and front gardens. It’s because of its soft and gently sprinkling pattern. It has a 1,000-square-foot max coverage, and a 36-foot diameter spray maximum. It's well-made thanks to the materials it's made of. This works great and is efficient. It’s also very easy to use. You won’t have any problem using it even if you’re a newbie. It’s got durability problems, because of its surface being made of plastic. This one feels a little bit cheap. The Gilmour Light Duty Circle Pattern Ring Sprinkler is another good option for you. This is ideal for small circuit lawns because of its design and size. This has coverage of 900-square-feet, and is impact-resistant. It’s made of polymer and is assured to be rust-proof. It’s also not a problem if you’ve got a low water pressure, because this sprinkler can handle that situation with style. You’ll find three rows of outlet, that’s made to make its pattern soft and gentle. It has good coverage. You can also use this for medium-sized lawns. It’s very efficient in using water. The materials it’s made of are cheap. It would also be better if it had more holes. 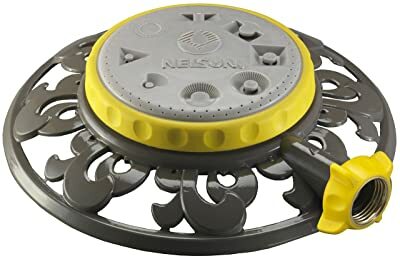 Then there’s the Nelson Spray Head Stationary Sprinkler which has 8 pre-set patterns. It has a durable metal base that looks visually pleasing. This perfectly matches its soft-grip sleeve. 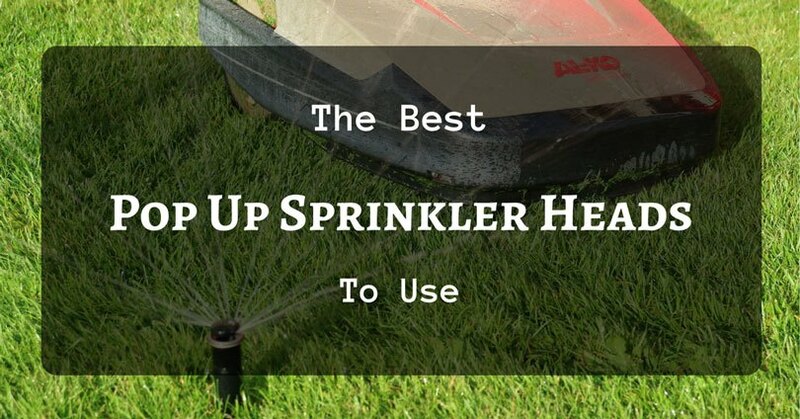 It weighs a very light 1 pound, which makes this as one of the most stable sprinklers in this list. You’ll also find its grip to be comfortable because of its ergonomic design. It’s a very stable sprinkler because it’s well constructed. This is versatile as you can also use this for medium-sized lawns. This one’s heavy, which makes it a bit difficult to drag around. The Gilmour Light Duty Whirling Rotary Circular Sprinkler is another one you can try. This is ideal for small lawns that are circular in shape. It has coverage of up to 1,963 square foot, but this can be changed to your liking depending on your option. Meanwhile, its circular spray pattern has a coverage of 50-feet diameter. It’s rust-proof and impact-resistant, thanks to its polymer construction. This even has gently spray tips. It’s very efficient in using thanks to its structure. It’s lightweight but is stable. The durability is not the best, but it’s also not that bad. 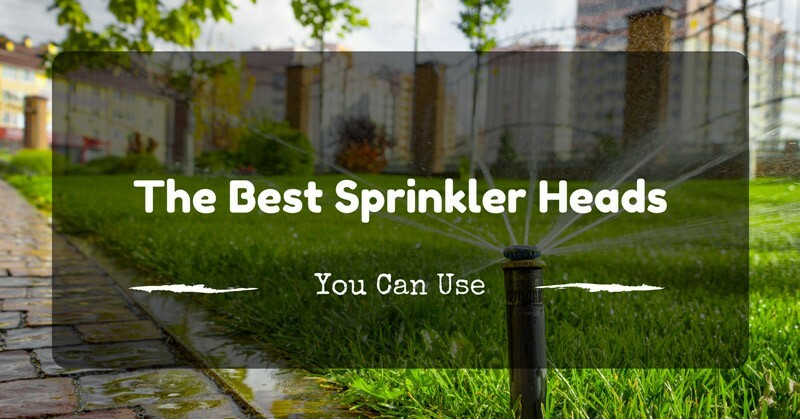 When it comes to choosing a garden sprinkler, you might think that you just need whichever kind you can get. However, it’s not as easy as that. You need to know which suits your garden best. This is why you need to know its size. So why do you need one? The answer to that is simple, and that it is for precision’s sake. When you get a sprinkler that’s designed to be used on small yards, you’re making sure that the water won’t spill beyond your intended place to be watered. Not only does this make sure that you don’t waste water, but this also ensures your safety. By having a garden sprinkler, you don’t have to worry about running out of water for your plants in the garden. A garden sprinkler ensures that your plants has constant water supply because it continuously sprinkles it with water. And what’s great about these is that they don’t get flooded because they’re simply “sprinkled” with it. You don’t need to always water it with a hose or scoop water from a pale to water your garden. A garden sprinkler does all of that. And that’s what makes this a cool thing to have. What happens when you constantly supply your garden with water? They become healthier. That’s just what happens when you use a sprinkler. It doesn’t just give them water and let them survive, but it lets them thrive. Thriving is more important than surviving, because when you thrive, you’re living the best experience or life possible. The same goes for plants. When they receive just enough water, they’re able to grow properly, and they become healthier. The tendency for pests, microbes, and fungi to grow also becomes less likely. Most importantly, garden sprinklers are made for your convenience. 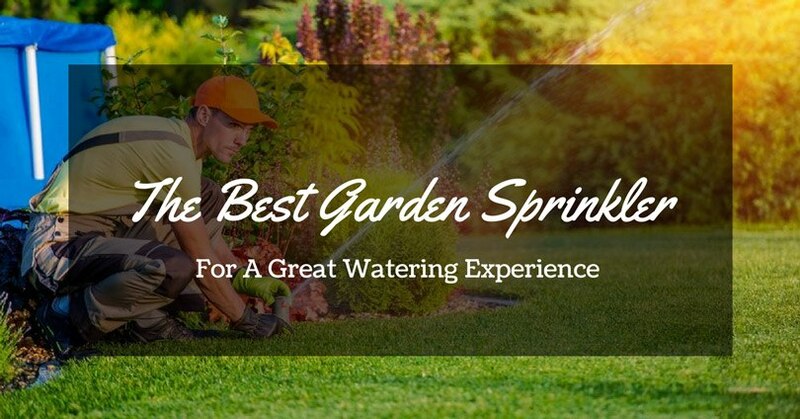 You don’t need to always check your garden and physically go there, because the watering is done by your sprinkler. 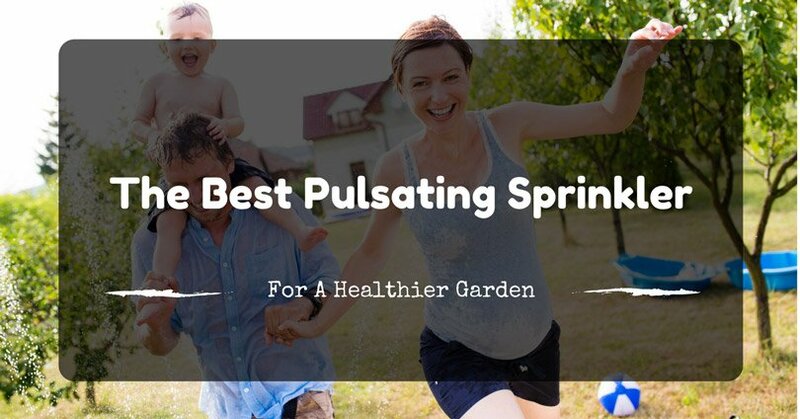 There’s no need for you to devote lots of your time just to check or tend to your plants, because that task is well taken care of by your sprinkler. That’s how cool it is to have one that’s made specifically to deal with small yards. The first thing you need to consider to get the best one is to know its coverage. Be sure that it won’t go beyond the intended place that you want to water. It should also not be short of coverage. Read the details found in its package, or you can also ask the salesman/saleswoman in charge in the store you’re buying it from. It’s in knowing its coverage that you’re able to ensure its usefulness. 2. Check the materials it's made of. You also need to check the material that it’s made of. It’s in doing this that you’re able to ensure the sprinkler’s durability. 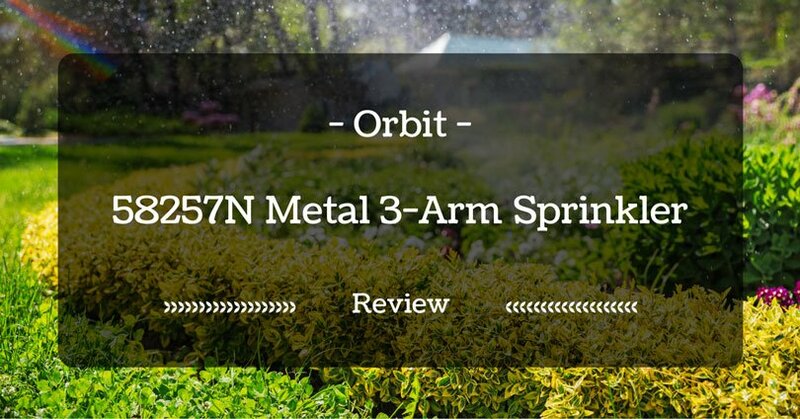 Though there are already a lot of sprinklers made of plastic, it’s still advisable that you choose the ones made of stainless steel or metal. It’s through this that you’re able to make the most out of your money. But it also doesn’t mean that all sprinklers made of plastic are of low quality. There are already high quality plastics that can go on par with the steel ones. You just need to have a keen eye when choosing one. 3. Is the price worth it? Also consider the price. It’s in knowing the price that you’re able to see if it’s worthy to buy one or not. Make sure that it isn’t overpriced. This doesn’t mean that you should choose the cheapest one, because most affordable products are made of low quality materials. On the other hand, price doesn’t also always equate to quality. 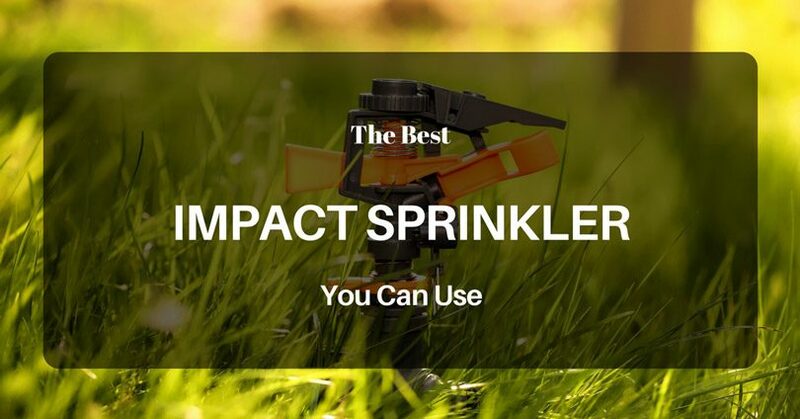 There are times that affordable sprinklers have similar or even have better quality and features than the more expensive ones. Just think twice and be wise when choosing one. Then there’s the aspect of aesthetics. 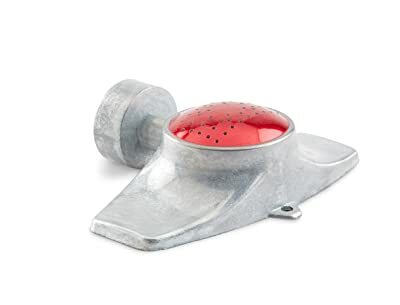 It’s important that you also consider the visual characteristics of the sprinkler because this is going to be placed on an area where lots of people can see. The last thing you want it a sprinkler that’s an eye sore. Out of the five reviewed products, the one that came out to be the best is the Gilmour Light Duty Whirling Rotary Circular Sprinkler. 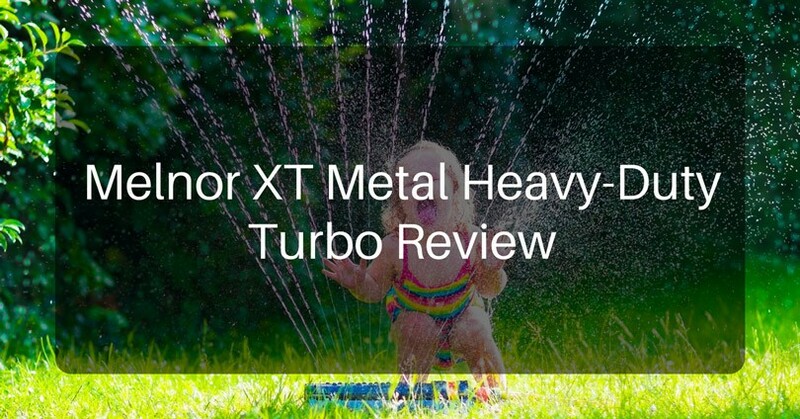 Not only is this efficient and fully capable of watering small or large areas, but this is also pretty stable thanks to its lightweight design. Though it might have some minor issues with its durability, it isn’t really a problem as long as you know how to take care of it. 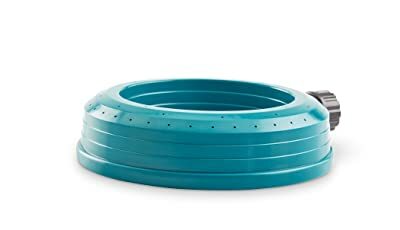 With this, we can say that the Gilmour Light Duty Whirling Rotary Circular Sprinkler is the best sprinkler for small yards. Have fun with it and keep watering, mate.